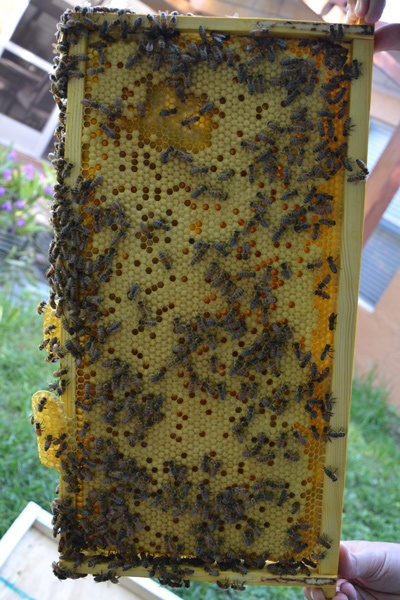 Here in South Florida the bees get a nice treat during late September through early November, a large fall honey flow from the Brazilian pepper trees. 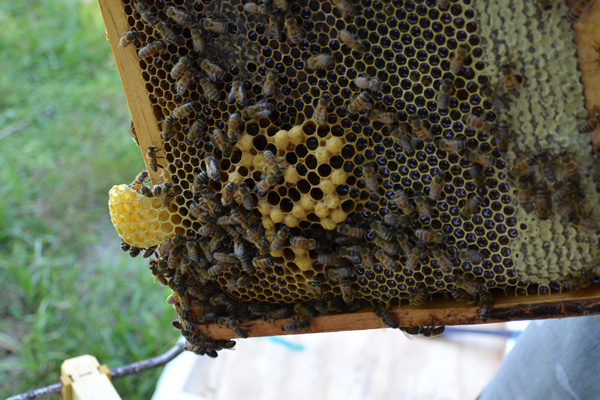 This honey has a nice golden color and the flavor is mild with a slight “kick” to it, however it is not spicy as some may think because of the name. I actually prefer it over orange blossom honey. 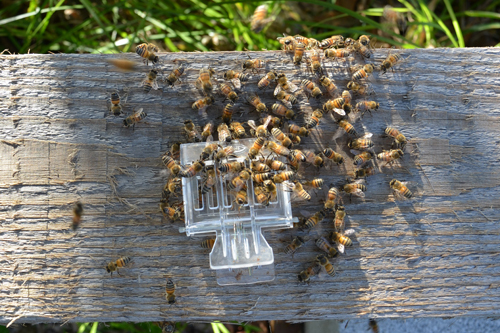 It is such a large honey flow that the bees will swarm if you don’t split them ahead of time. 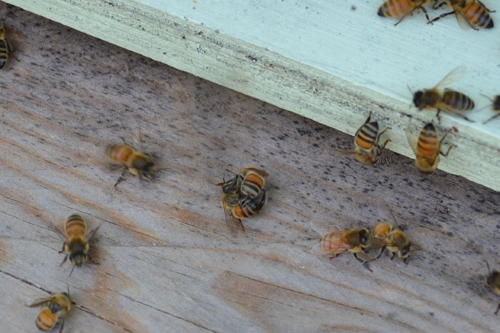 So we use the long Labor Day weekend to make our splits and prevent swarming. 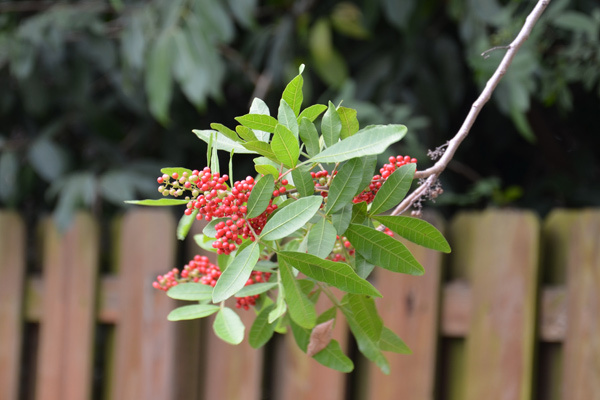 Brazilian pepper (Schinus terebinthifolius), also called Florida Holly, is an invasive species originating from South America. It is actually illegal to cultivate, sell or transport the seeds and plant. 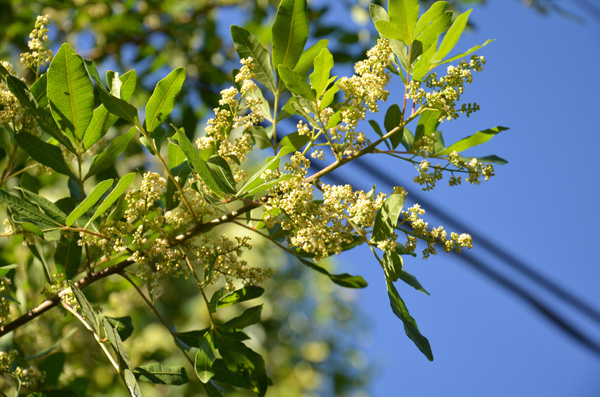 It is a very fast growing tree that spreads quickly and overtakes other native vegetation. It is very hard to eradicate because of how easy it proliferates. 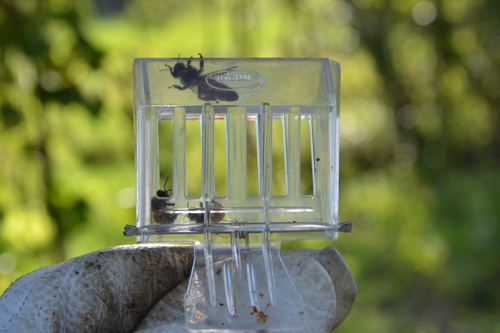 Despite the negative perception many people have about the trees, we like them because our bees love them. 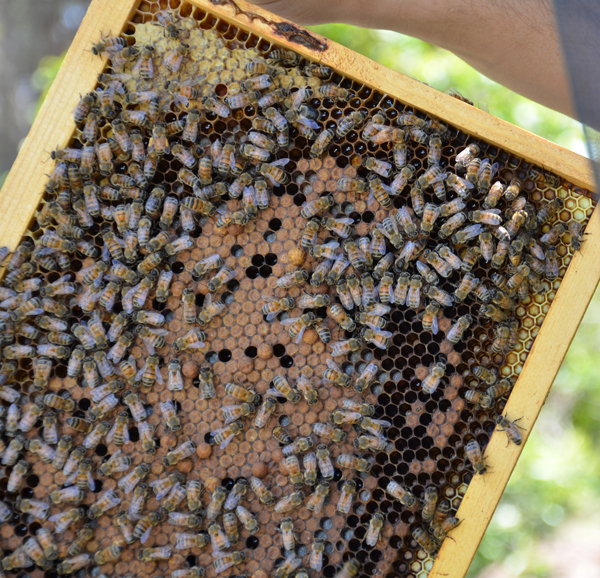 We fully understand the environmental impacts is has had on native plants, but at the same time with honey bees on the decline, they need food sources too. 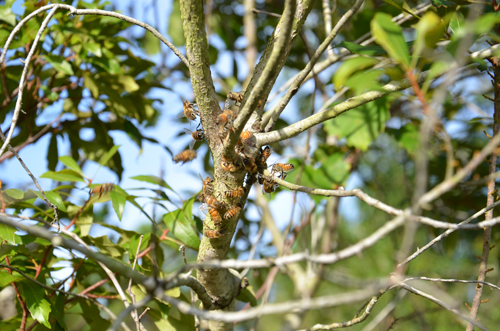 This tree provides a great amount of honey for them to store and survive on during winter when not many other flowers are blooming. 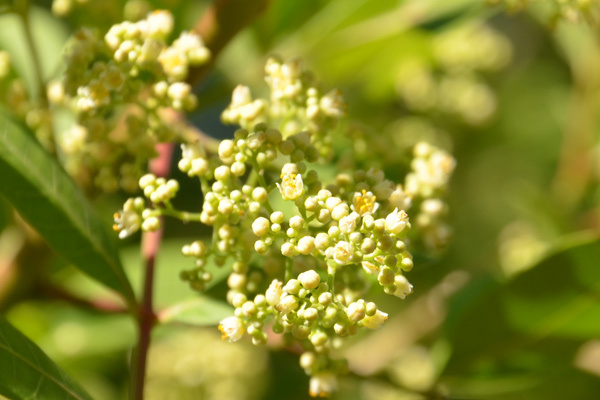 Close up of Brazilian pepper flowers, they are very tiny. 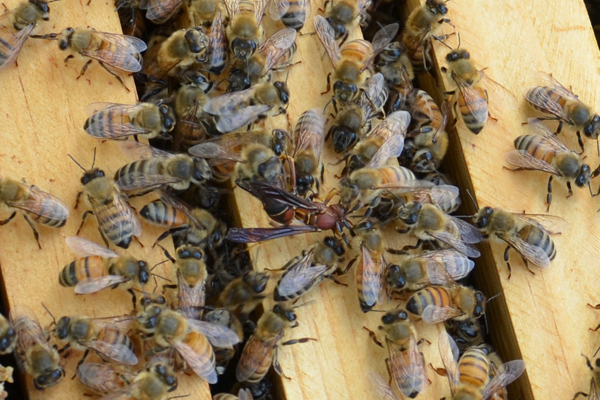 Do you think this is a bee? Well, you’re wrong! It is a Drone Fly. 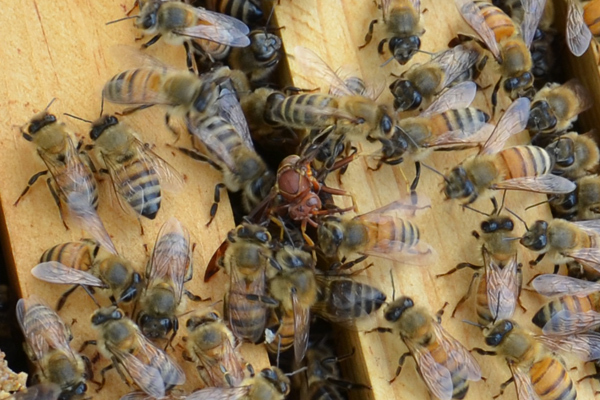 They mimic the look of a bee to prevent predators from eating them. Brazilian pepper seeds. This is how it got the nickname Florida Holly. 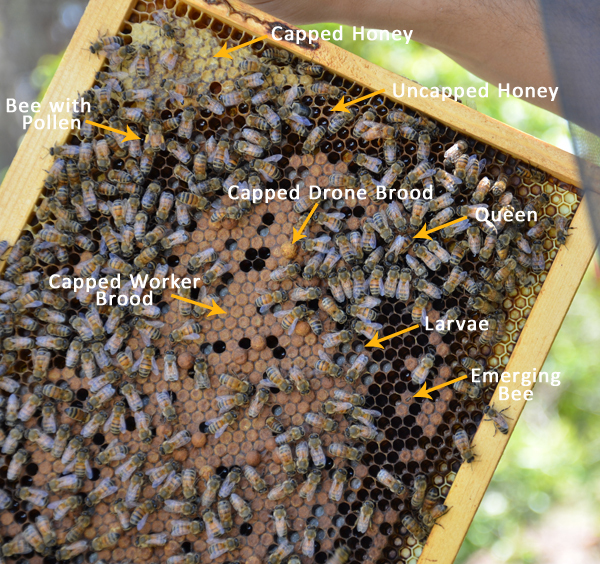 Lots of brood still being produced in fall. Even drones being produced too! 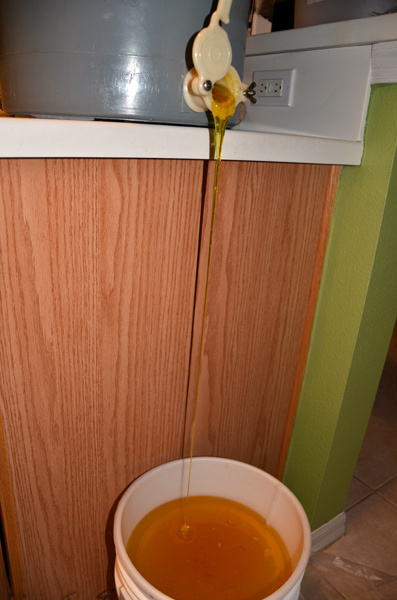 Capped Brazilian pepper honey waiting to be extracted. 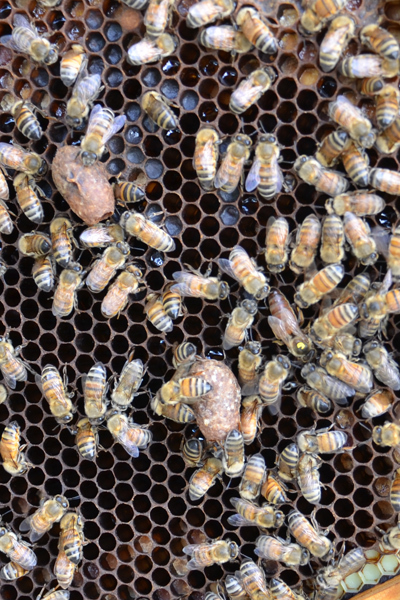 Look at that beautiful golden honey – liquid gold. 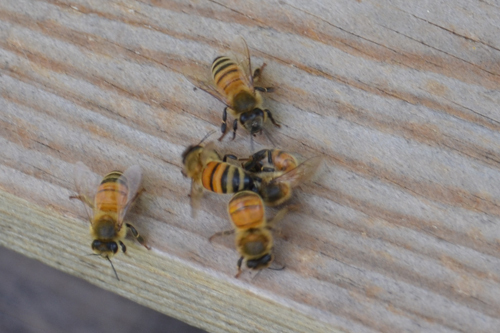 A few months ago I wrote a post about some critters that like to hide in or around our beehives. Well here are a few more to add to the list. 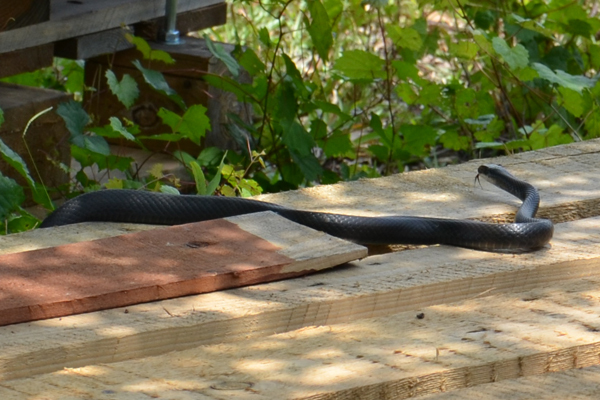 The Southern Black Racer is a common snake here in the Southeast. Adult racers are usually 24–55 inches (0.6 – 1.4 m) long. They are active during the day when it is warm and will eat lizards, frogs, insects and rodents. 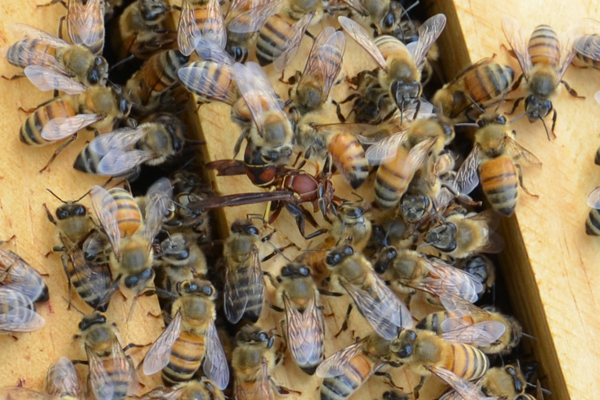 They are not venomous, but they can bite if they are cornered or feel threatened. 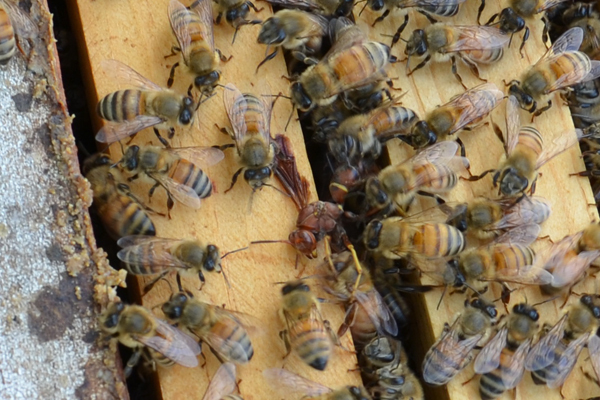 This one was relaxing on top of an empty pallet next to a few of our hives. 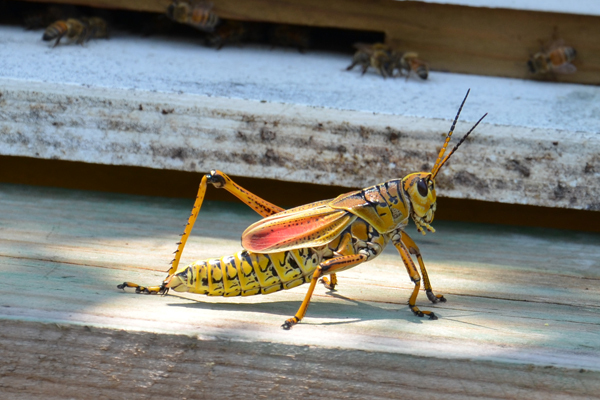 The Eastern Lubber Grasshopper is a very colorful and large grasshopper, reaching almost 3 inches (8 cm) in size. It is native to the southeastern and south central US. 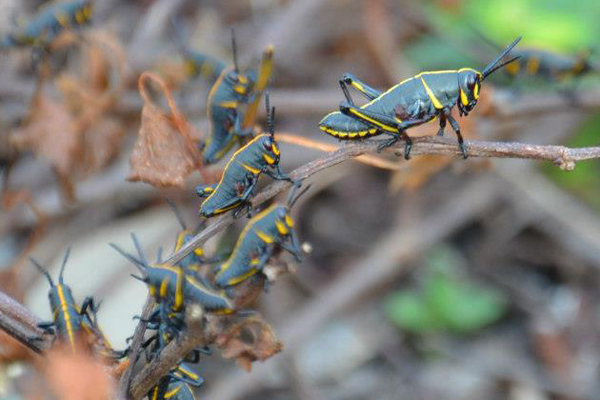 The young nymphs are black with bright yellow or orange stripes and as they grow they change color. They feed mainly on shrubs and grasses. 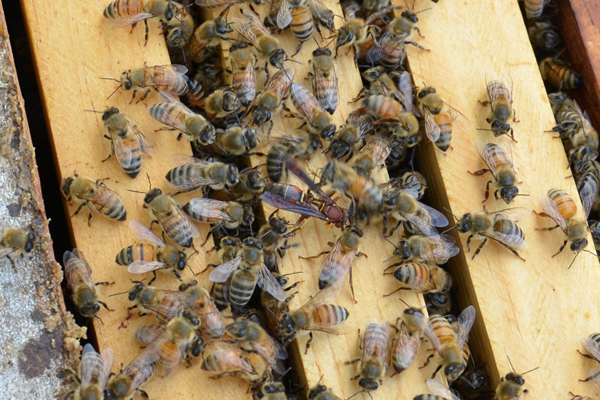 You can see how large the adult is compared to a few bees in the background. 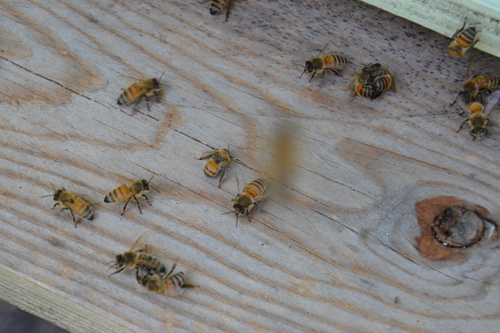 It does not bother the bees at all, it was just hanging out in the sun. 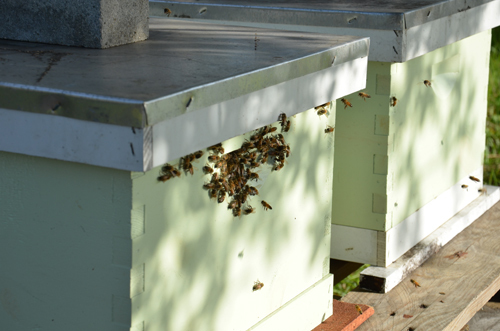 We keep some of our beehives under the shade of a few oak trees. 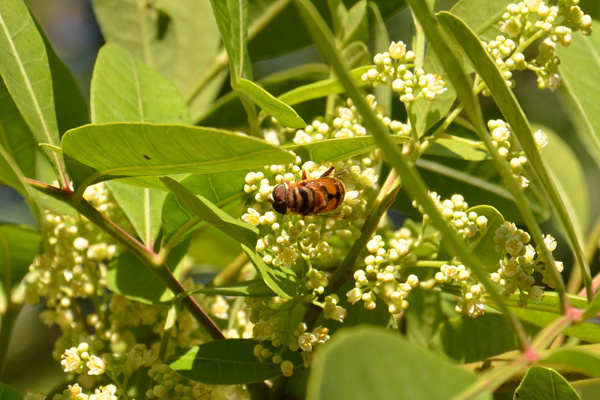 I noticed what looked like caterpillar droppings on top of our hives and shortly after this caterpillar dropped down from the tree. 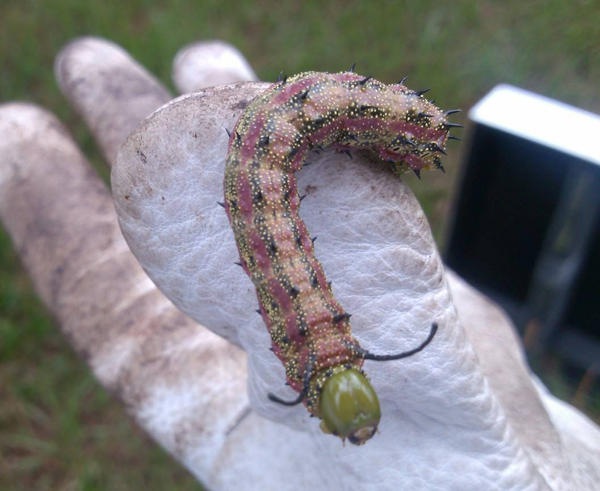 The Pink-striped Oakworm caterpillar turns into a colorful pink/orange moth. And guess what they eat? Yes, you got it – oak tree leaves.